Earlier this year, Genesis have “reunited” for a brand new documentary about the history of the band. The result ist called Together And Apart (for the BBC broadcast) or Sum Of The Parts (for the North American Broadcast and the DVD / Blu-ray release. The documentary is 90 minutes long, spanning the whole career of the band. The new documentary will be premiered in London on 2nd October and broadcast schedules on TV will follow after that. In the UK, the BBC will show Together And Apart on 4th October at 9.15pm. Details can be found on this website. Meanwhile, the North American broadcast with the title Sum of The Parts will happen on 10th October on Showtime at 8pm E.T. (click here for details). The documentary will be broadcasted shortly after the release of the new career spanning 3CD-set R-Kive, which will be released on 29th September. Sum Of The Parts will also be released on Blu-ray and DVD in November. Many schoolboys get together to form a band, but few of them go on to become multi-million-selling recording artists – but that’s what happened to Genesis. 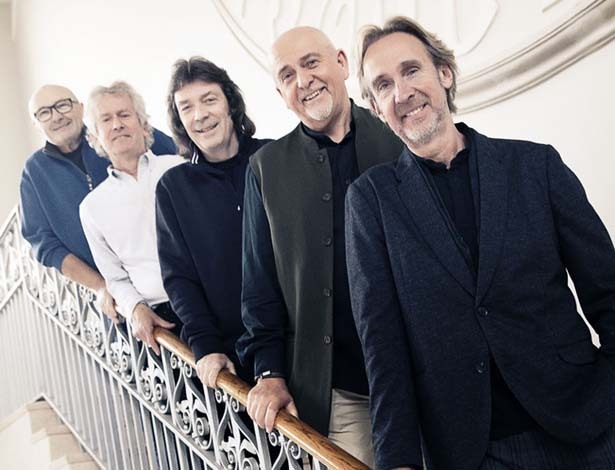 Its core members – Peter Gabriel, Mike Rutherford and Tony Banks – met at Charterhouse, a public school in Surrey, and began playing together with two other students in 1967. A few years and personnel changes later (including the addition of drummer Phil Collins) and the classic line-up was in place. But relationships within the band were fraught; Gabriel left for a solo career in 1975, and Rutherford, Collins, Banks and Steve Hackett carried on without him. Here, they’re back together again to discuss their careers. Rare archive footage helps tell the story. When I put on an exhibition of the Genesis photographs at Trading Boundaries last year to coincide with the Steve Hackett unplugged concert being held there, I got the opportunity to meet Steve again – after 37 years! I asked Steve if I could take some candid photographs of him at work in his studio, either recording or rehearsing. 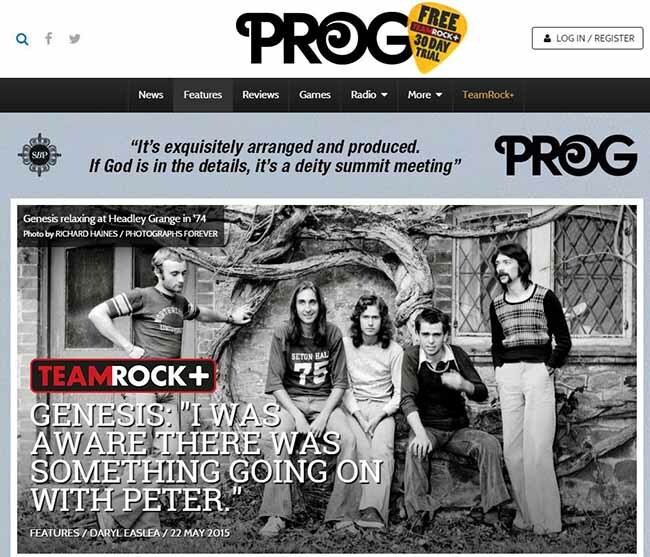 Steve kindly agreed despite having a really hectic schedule of writing his own music, recording and producing Genesis Revisited II, an excellent double album, as well as guesting on other musicians recordings and extra live gigs. So just before Christmas I visited Steve and his wife Jo at Steve’s studio in Twickenham and took some photographs of Steve – here are some of them…. I was commissioned to take photographs of Genesis in 1974 at Headley Grange in Hampshire where they were writing and rehearsing their album The Lamb Lies Down on Broadway. These phoptographs have laid dormant in my collection until recently when I decided to post them onto my website www.GenesisPictures.co.uk so they could be shared. This has led to me being invited to put on an exhibition of over twenty of these photographs at Charterhouse School, where Peter Gabriel, Mike Rutherford and Tony Banks went to school and formed the band Genesis originally. • Unpublished 1970s’ picture display … loads of interest in Richard Haines unique unpublished photo collection. 20% of the proceeds will be donated to our charity – check them out here: www.genesispictures.co.uk. These include pictures taken at Headley Grange during the making of ‘The Lamb Lies Down on Broadway’!. Richard is also donating one of the images to our Auction.